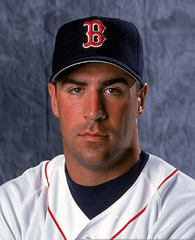 Steve Lomasney had a 12-year MLB career with the Red Sox, Orioles, Reds, and Twins. After being drafted by the Boston Red Sox in the 5th round of the 1995 amateur draft, Lomasney instantly became a rising star in the minor system, named the top-rated prospect in the Red Sox organization by Baseball America, peaking when named Minor League Player of the Year (1999) for Boston’s Class A affiliate in Sarasota. He starred for Peabody High School in Peabody, MA in both baseball and football. He was named the MVP of the Greater Boston League, Player of the Year, and a member of All-Scholastic teams in football and baseball. The MBCA is proud to have “one of their own” speak about working with catchers and the technical side of blocking, receiving, and footwork.